What were the various reasons behind starting Kitki? I never even thought I would become an entrepreneur. I was part of a fairly standard rat race – do well in school, graduate from a good college (BITS-Pilani), get a well-paying corporate job and climb the hierarchy ladder. It was only after 6 years of corporate experience that I started thinking more freely and realised how I ended up doing a lot of stuff only because someone said so or because that was the trend. Life is short. Why should anyone do what they don’t love. But there is not enough encouragement for kids to dig deep and find what really interests them. Learning new things certainly helps but unfortunately rote learning has taken precedence over true learning. That is where the root of the problem lies and instead of blaming the system, we decided to find a solution and thus started Kitki. Kitki was started in 2013 with a plan to partner with schools and offer experiential learning modules that can help kids experience the true beauty of learning through hands-on workshops and field visits. What we didn’t realise early enough was that schools take time to make such big changes and we struggled for over one year trying to convince schools to take our modules more seriously. After several pilot programmes at different types of schools, we knew that we could not sustain ourselves with that model. However, during this period we noticed how well game-like mechanics could engage kids and create an interest to learn among them. We took the hint and started developing board games that are a lot of fun but at the same time drive learning in an effective manner. While the overall toys industry could be around `10,000 crore, we think educational games are about 20-25 per cent of the board games market in India. But our scope includes an additional segment of schools and further, our board games can cater to an international market. Our games are just like any board game. But at the same time, the games are set in an educational context and subtly enough for kids to learn. Kids (and even adults) can purchase these from toy stores and online stores and have fun at home, at parties, at picnics, anywhere. Even schools are interested in adding these to their classrooms to enhance the learning experience. 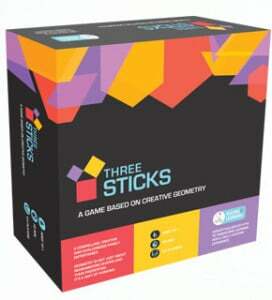 We have already designed three board games that are based on concepts from geometry, chemistry and history. We are looking to build a portfolio of similar high quality board games over the next few years and let kids experience how fascinating learning really is and to develop a curiosity to learn them. Apart from the traditional options of selling through toy stores and online stores, we are looking at spreading the word through workshops and stalls at offices and residential townships.In-stead of focusing on a one time sale, we are looking to build a strong relationship with our potential customers. Can you share a case study? Our board games give us the opportunity of developing different variations of a similar subject. For example, our game on history is based on medieval Indian history and specifically highlights the rise of the Delhi Sultanate. 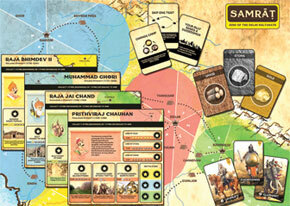 The next version will be on how the Delhi Sultanate’s strength grew into the Central India. 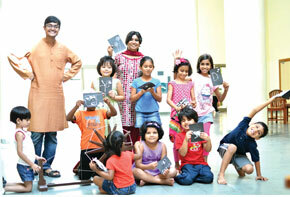 We plan to stay alongside a child’s learning experience through new games at different stages. We value customer relationships a lot more than absolute sales. We plan to just be honest, let our customers know about our aim and let them be a big part of the revolution. We recently ended one such campaign through which we asked people to help us raise enough funds to manufacture our game on geometry, Three Sticks. The campaign was launched on an international platform called Indiegogo and we received a tremendous response. People pre-ordered the game from all over the world, including teachers and education experts and helped us raise over $11,000! We will continue to work towards building better relationships and not worry about our sales or our market share.